Book images from Paris and London for weekly post of November 20th to November 24th by Author Scot Fin. I finished last week visiting a Saint Germain en Laye cat so I thought I’d start this week moving along to centre-ville and the market. 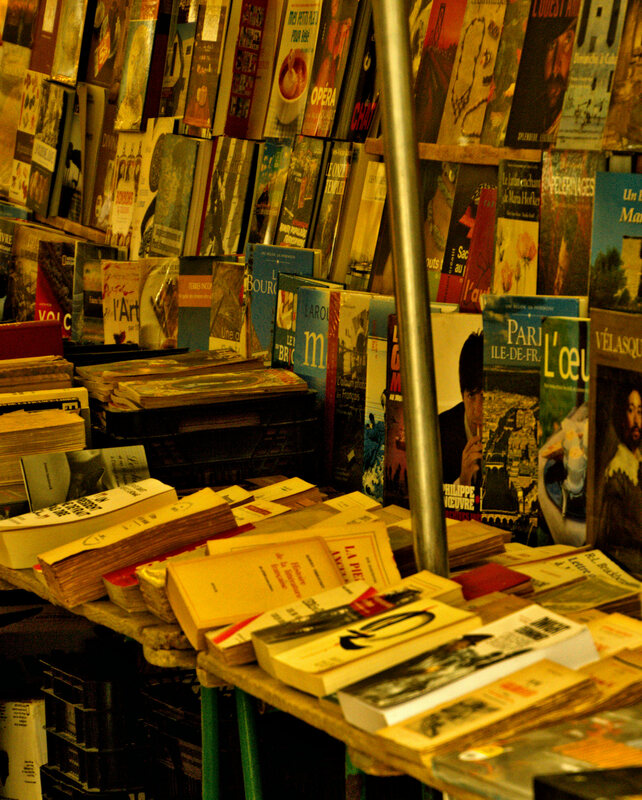 The Saint Germain market, I think, is one of the best but somehow I ended up at the book stall. Maybe it was because it reminded me of how I have my books arranged. At any rate, if you desire visiting a French market, you’d be hard pressed to find a better one. Just the RER A with the Saint Germain en Laye terminus from Paris on, as per the Saint Germain website, Sundays, Tuesdays and Fridays from 8:30am to 1pm.” I used the website because I can never remember the weekdays. For me, however, the Sunday market is the best. Paris doorways photos for weekly post of October 9th to the 13th by Author Scot Fin. Full size slideshow at the bottom of this post. Finished last week with a book store doorway, so I’ll start this week with another doorway. I’ve heard this place is quite popular but, although I like these solid wood doors, I thought the doorway here might be a little bit grander. … Or am I missing something? Paris books photos for weekly post of October 2nd to the 6th by Author Scot Fin. Bouquinistes have the best views, apparently since the late 1700s. I understand that is when the term was first used for these second hand book sellers along the Seine River in Paris. Piccadilly, London photos for weekly post of September 11th to the 15th by Author Scot Fin. Strolling along Piccadilly isn’t just for shopping. St James’s Church stands out. From the 1600’s along with being hit during the London Blitz in 1940, St. James’s Church survived pretty well, I would say. It took me way too long to blog about The Abbey Bookshop. Being Canadian myself and considering my very poor French language skills, this bookshop fits the bill for me. A Canadian founded this bookshop. Brian Spence, a Toronto, Canada native, opened it in 1989. More importantly for my language skills, it deals in English books. While Canadian content is available, the inventory ranges across all international origins in new and used English books. The Abbey Bookshop is at 29, rue de la Parcheminerie. 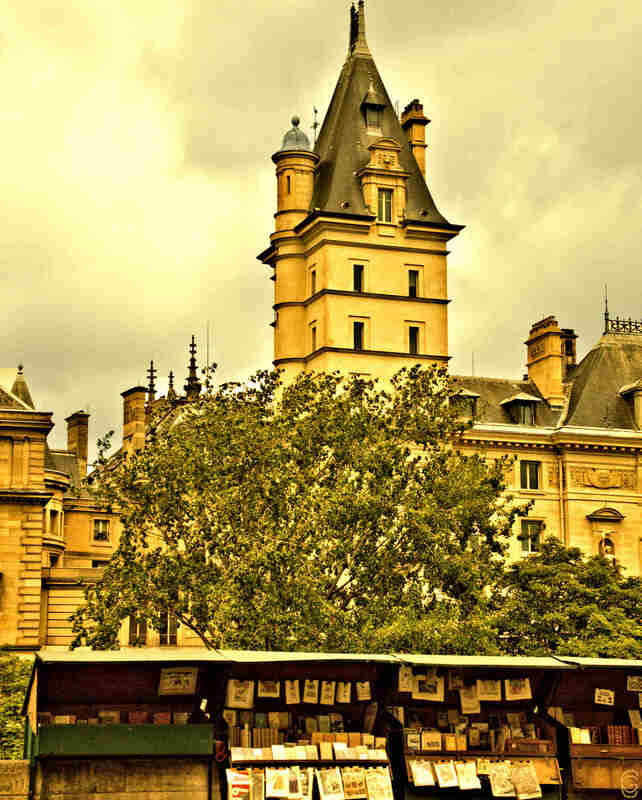 This Left Bank location is a quintessential Paris location especially for the book trade. 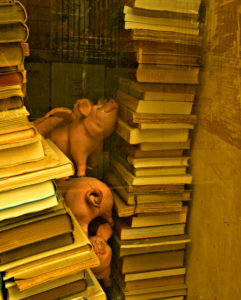 The most known name in old Paris bookstores, Shakespeare and Company, is not far. Shakespeare and Company enjoys a wonderful location looking towards Notre Dame. 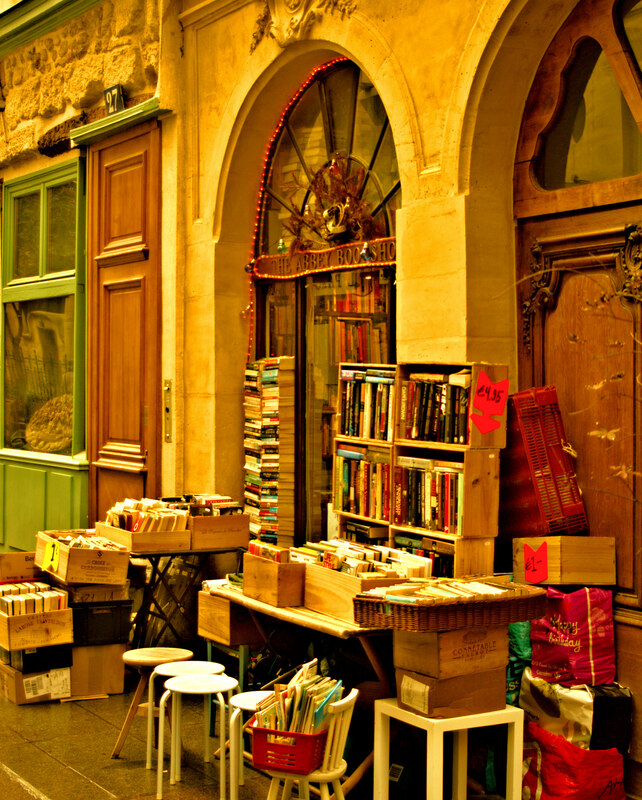 The Abbey Bookshop enjoys a low key, quiet old Paris street. The shop is quietly nestled between the quaint Rue de la Harpe and Rue des Prêtres Saint-Séverin. Rue des Prêtres Saint-Séverin offers another Paris church landmark on a smaller scale than most, The Church of Saint-Séverin. Rue de la Parcheminerie was originally named as rue des Escrivains so the area was a central location for the Paris book trade. 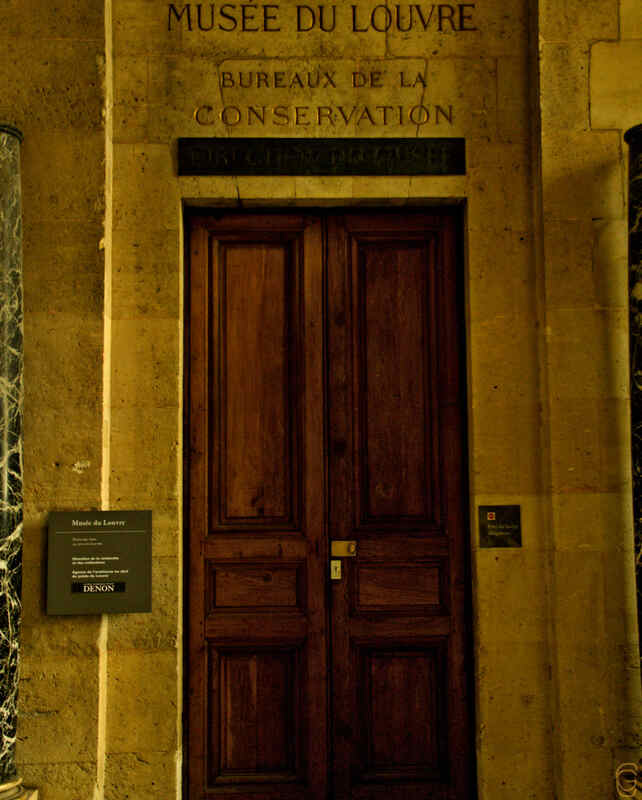 The Sorbonne University is in close proximity. During our Left Bank walks, we are often following University students. Our usual walk to The Abbey Bookshop takes us through Luxembourg Gardens. 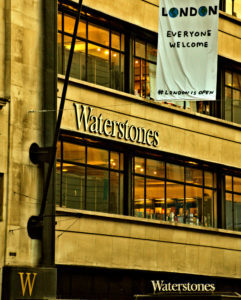 Large green space for reading, university life, so little wonder the bookshop trade flourishes on the Left Bank. Gibert Joseph, one of Paris’ largest mainstream bookstores, has a location on the main thoroughfare, Boulevard Saint-Michel. To keep with some other English bookshops, I have found a few in close proximity, near the Luxembourg Gardens. 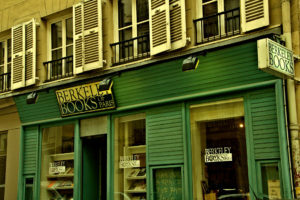 Berkeley Books of Paris is at 8 Rue Casimir Delavigne, a stones throw from Luxembourg Gardens. The San Francisco Book Company is not much further. You would need a bit better arm for this throw. It is at 17 Rue Monsieur le Prince. I’m thinking that California is trying to impact the Paris book market. For reading, apart from green space, you may find the odd cafe around as well. Starbucks is also starting to take over. As I mentioned, unfortunately I don’t know French well enough to read French. I think the best solution is for me to spend more time in Paris specifically or France in general. Therefore, I would improve my French. Then I could branch out to add the French bookshops to my repertoire. In time, I will be blogging on French bookstores.